Being able to rent a property with a dog is a rare occurrence. Many landlords see having a dog in their property in a negative light, perhaps due to the increased risk of damage to not only the house or flat itself but also any furniture that is included within the tenancy agreement. In fact, it is shocking to hear that there are people who are looking to rent a home with their pet who have had to look at the prospect of moving away from family and friends in order to be able to find a landlord willing to accept dogs. 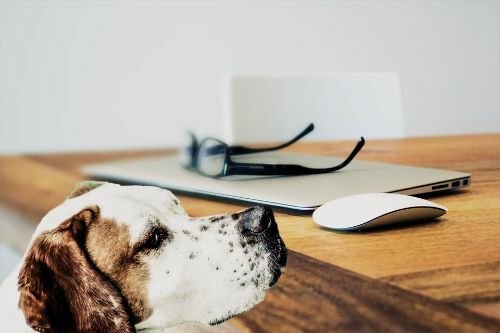 While people without pets rarely extend past the 50 day mark when looking for a property, it can take up to a year or more for tenants with pets. As renting is becoming more and more commonplace across the UK it is becoming more and more necessary for landlords to be accepting of pets in their rental properties. We have already looked at the things to keep in mind when renting with cats (often more easily accepted than dogs) but what about furry friends of the canine kind? There are some landlords out there who will consider renting to you and your dog so with this in mind there are things that you can do to improve your chances of getting an approval for your pooch. A great website to visit if you are wondering about the issues and resolutions surrounding renting with a dog is ‘Let with Pets’. This site is dedicated to providing advice and guidance with a view to increasing the number of rental properties that will accept dogs. ‘Let with Pets’ is trying to change the way that landlords and letting agents view people who want to rent a property with their cat or dog. They are dedicated to proving that the choice of removing that pet clause in the tenancy agreement does not necessarily mean allowing pets that will be messy and noisy. They want to prove that by choosing a tenant who is responsible with their pet ownership poses no more a risk than any other tenant. Whilst it may be tempting to hide your pet away and keep it a secret from your landlord or letting agent, this a dangerous approach to take. Once the truth is discovered you may find a Section 21 Notice asking you to move out in 2 months due to a breach of your tenancy agreement. The first thing to do is to talk to your letting agent; being upfront about your needs at the first opportunity will ensure that you do not become disappointed when a property you really like is not available due to your pet. The age of your dog and your attitude to tenant responsibilities will certainly help your case. Letting agents will be honest with you on your chances of finding a property and can help you with your search. The ability to rent with dogs could be on the rise, however, you might find you are requested to pay a larger deposit or agree to have the property cleaned with carpets after you vacate. However, if that means you can have your dog living with you in your home then perhaps this is a small price to pay.